Win a 2-Month Supply of Organic Breakfast Goodness! As we head into the season of indulgences … holiday parties, gifts of fudge, cookie parties, gingerbread houses, appetizer platters, and well, you get the idea … I thought a little nutrition might be in order. While you can’t negate that rum-spiked punch and those decadent truffles, you can start your day off right with a good dose of organic, whole-grain deliciousness. Not a breakfast person? 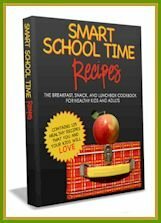 This prize package also lends itself useful in creating wonderful recipes, from crispy coatings to delicious snack bars (of course, some recipes are forthcoming … perhaps a week’s worth of inspirations?). How you use this jam-packed gift is up to you, in fact, the winner even gets to choose their prizes! One of you will win a two month’s supply (8 full-size boxes) of U.S. Mills brand cereal products of your choosing – hot or cold; Erewhon, New Morning, or Uncle Sam’s brands; flaked, sweetened, or in a bar format; gluten-free, vegan, and/or soy-free – they are all available to you! A Convenient Little Coupon Keeper (perhaps with some awesome cereal coupons included?) – I have one, and it is so perfectly sized for trips to the store. Erewhon Organic Crispy Brown Rice (a must for no-bake goodies) – review and recipes on deck! New Morning Cocoa Crispy Rice (for my choco-holic husband) – we haven’t tried this one yet! Leave a comment here telling me, “Which cereals and/or bars you would pick if you won?‘ Head over to the U.S. Mills website and check out the Erewhon, Uncle Sam’s, and New Morning product lines to get a gander at all of the organic and natural products you have to choose from. For an extra entry, help to spread the word about this giveaway. Tweet it, share it on Facebook, Blog about it, or email it to some of your e-buddies. Whichever way you choose, make sure you come back here and leave a second comment telling me that you did! 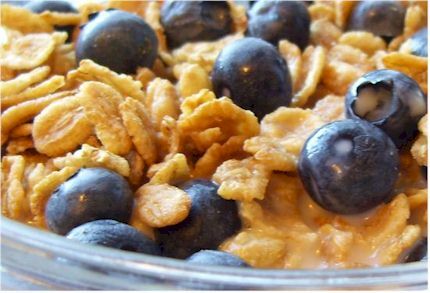 For another extra entry, share a favorite recipe that you enjoy, which contains breakfast cereal (from instant oats to crispy rice) as an ingredient. Leave an additional comment with your recipe. As promised, I will share some some of my recipes this week too! Entries will close on Sunday, November 8th, 2009 … so enter NOW! Winter is coming. I would choose the Erewhon Maple Spice instant hot oatmeal. Thank you for the opportunity to win. I like refridgerator cookies made with oatmeal. I can’t remember the recipe exactly, but it contains oatmeal and cocoa and peanut butter. My favorite cereal based recipe is a little something we call White Trash. Melt first three indredients in saucepan over medium heat. Pour over chex, making sure all cereal is coated. Put powdered sugar in large paper bag. Put cereal in bag and shake gently until coated. Pour on wax paper to cool Enjoy! 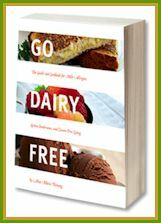 I’d get the Cocoa Cripsy Rice, Oatios Original and Erewhon Kamut® Flakes. baking pan coated with cooking spray. Chill in refrigerator about 45 minutes. In large microwave safe bowl, melt chocolate morsels and peanut butter at MEDIUM power for 2 to 2 1/2 minutes. Stir until smooth. Add remaining ingredients. Stirring until well coated. Follow step 2 above. 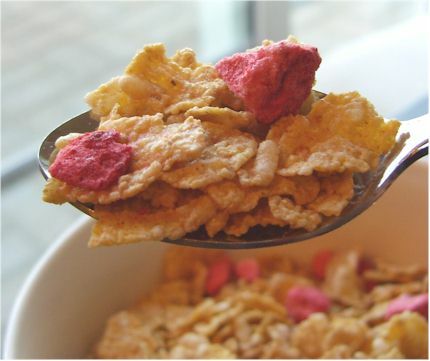 I would love the # Erewhon Strawberry Crisp Cereal, Crispy Brown Rice with Mixed Berries, Cocoa Crispy Rice, and Uncle Sam Cereal with Mixed Berries. 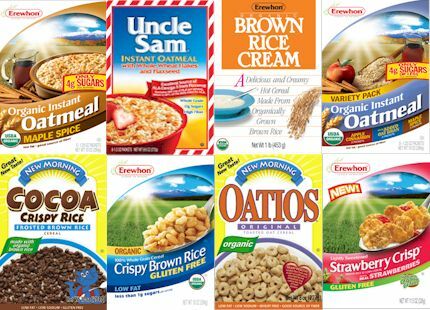 I would choose the New Morning Cocoa Crispy Rice & Erewhon Strawberry Crisp Cereal…Thanks for the giveaway! Thanks for an Awesome and Healthy giveaway! Thankyou so much for the contest! Erewhon Strawberry Crisp Cereal, Crispy Brown Rice with Mixed Berries, and Uncle Sam Cereal with Mixed Berries. Then I would add blueberries and bananas. Oh they all look delicious but I would probably pick the Uncle Sam’s cereal with mixed berries!